Craftsy – Page 3 – Hello Adorable! 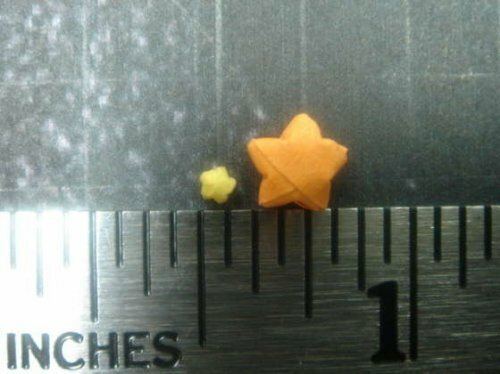 Holy bejeebus that’s a tiny origami star! Instructables user laminterious shows you how to make this itty bitty creation. How sweet is this fabric? It would be super cute as kitchen curtains, don’t you think? It was designed by MoMo for Moda Fabrics and you can purchase it at eQuilter. 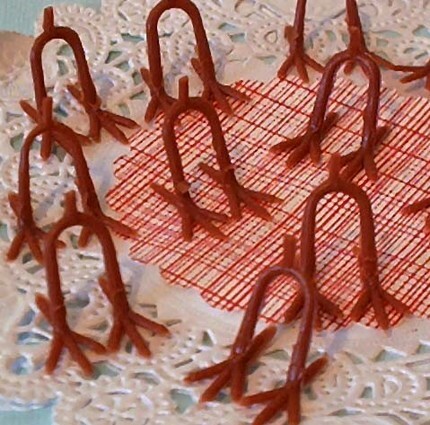 Etsy seller Corabelle makes and sells adorable hand carved rubber stamps. 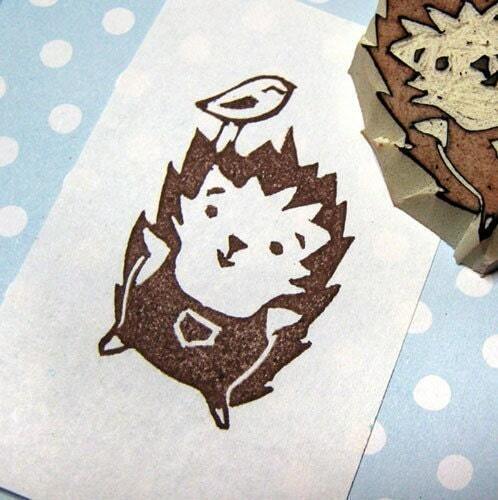 Like this hedgehog stamp. This would be such a sweet way to dress up your own stationary or fun to just plunk it on the back of an envelope when you’re sending a card. 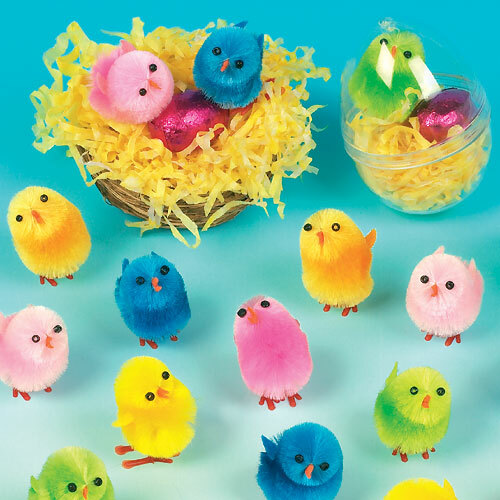 I have an inexplicable attraction to chenille chicks. If you’re like me and you need a whole box of 60 chicks, worry not — lots of craft supply and party supply stores sell them in bulk. And if for some strange reason you need just a box of plastic chicken legs? The world wide interwebs has got you covered there too. Check out this listing at chocolateletter’s Etsy shop. Did you see the movie Coraline? Well maybe you thought about this and maybe you didn’t but since the movie was primarily stop-motion animation, just about everything in it was made by hand in tiny miniature scale. This includes knitting tiny sweaters for the characters. This video describes the process and you will not believe your eyes. The woman who knit the sweaters is knitting with strands of thread using knitting needles that are sometimes as thin as human hair. Amazing! Spoonflower.com is a really neat business. You upload your own design and they print it into fabric which you can order by the yard. I’ve ordered some before and the quality is really great. You can just design and order custom fabric for your own use and you can also open up a little shop and sell fabric with your designs and you get a cut whenever someone buys some. This Let’s Bake fabric was designed by Spoonflower user anda and it’s really sweet! 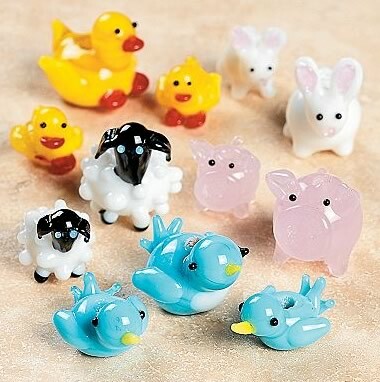 These glass beads would be adorable enough as is. But then they had to go the extra step and make bigger and smaller versions representing mamas and babies. Even cuter. You can buy them at Oriental Trading. JCaroline.com carries some seriously cute jacquard ribbon which you can buy by the roll. This style here was designed by Jessica Jones from How About Orange Designs and it is really sweet. Check it out at JCaroline.com.